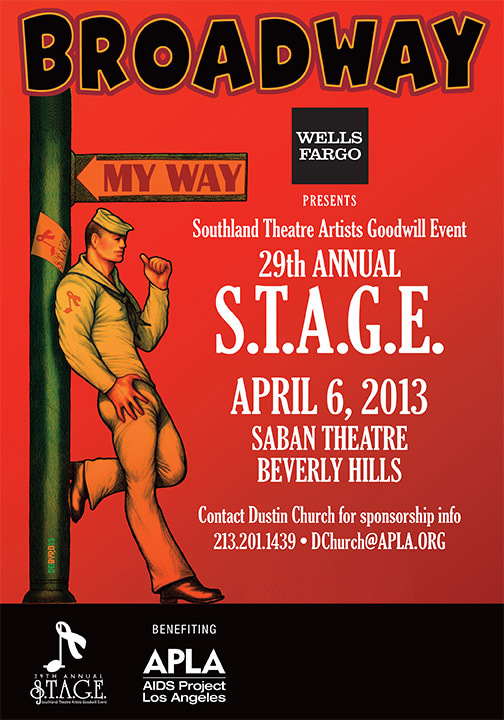 Consummate theatre director David Galligan will be directing Broadway, My Way for this year's S.T.A.G.E. 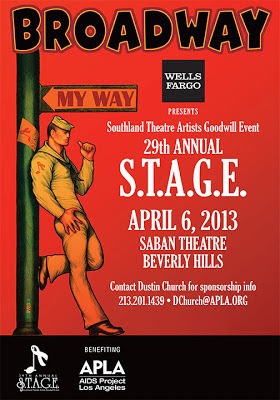 event benefiting APLA (Aids Project Los Angeles) on Saturday April 6 at the Saban Theatre in Beverly Hills. Galligan has given tirelessly to this project since it started back in 1984. Just about every composer has been honored with maybe the exception of Noel Coward and the last 3 years have been devoted to Original Casts of Broadway musicals. This year Broadway, My Way offers something different. David, tell us about the show, explaining the title Broadway, My Way. One of the exciting aspects of directing Broadway, My Way this year is providing the performers with opportunities to fulfill a performance dream they may have had forever. I'm not giving anything away, but there may be some stars who've always wanted to dance, but haven't been given the opportunity before. Or perhaps there's a wonderful Broadway song they've always wanted to perform, but it was originally written for a different gender. The possibilities are endless, as is the talent. Anyone new joining you this year? We're very excited to have Broadway stars Sutton Foster and Andrew Rannells join our cast for the first time this year. Broadway, My Way is open to such a wide and contemporary interpretation for our artists. It's going to be wonderful. Tell me anything you can about the show's content, without giving too much away. long-time friends of STAGE. In Betty's case, she was a co-chair of the event for decades as well as an annual performer. We'll feature a series of film clips of their performances accompanied by Karen Culliver, a long-running Christine in Phantom of the Opera, performing "Wishing You Were Somehow Here Again," followed by 17 year-old Madison Claire Parks singing "Think of Me." Madison is the granddaughter of Betty Garrett, and the daughter of Karen Culliver and Betty's son Garrett Parks. Madison will be making her professional stage debut February 16 as Laurie in Musical Theatre West's production of Oklahoma being directed by Davis Gaines who, himself, logged more than 2,000 performances as the Phantom. 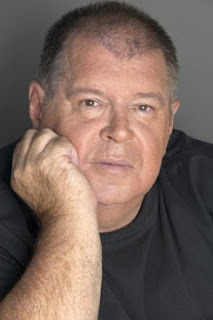 He, too, will be performing in STAGE this year singing "Wunderbar" to 98 year-old Patricia Morison, the original Kate from Kiss Me Kate. So, we have the youngest and the most seasoned of STAGE performers featured in our production. Thanks, David! Looking forward to April 6! Just added are seasoned performers Joely Fisher, Marsha Kramer and Terri White. Check out the website below for a complete list, which is updated regularly.